Finally I come back last 20 days I not update any post sorry for that really sorry the reason is I faced some exam and study for my examination now all exam over thank god give me a fresh air! This was the first blog post in 2016 I’m sure this year is going to rock it! Internet is like hub in the hub they are station in these station they are security and check all information then go to receiver this is the process of internet today many national security agency check our privacy and status and also trace all information in particularly in internet they are many dangerous cookies in our browser sent all data to third parties that mean government agency, national security agency , military agency these agency stolen all our privacy data that mean our Email, Social Networking like facebook, twitter (etc) this is happening today these agency are very dangerous to ours privacy in social network we can’t save our own . In these dangerous environment how we safe? 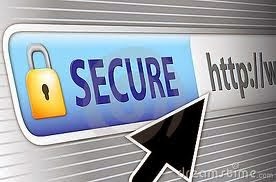 How we secure? The Your Freedom services makes accessible what is inaccessible to you, and it hides your network address from those who don't need to know. Just download our client application and install or just run it on your PC; it turns your own PC into an uncensored, anonymous web proxy and an uncensored, anonymous SOCKS proxy that your applications can use, and if that's not enough it can even get you connected to the Internet just as if you were using an unrestricted DSL or cable connection -- just like the firewall suddenly went boom! You can even make your PC accessible from the Internet if you like. Nearly all applications work with Your Freedom, and so far no-one has managed to block our service completely and permanently without blocking your Internet access entirely. It is only VPN and proxy tunneling tools for free of cost it is very easy to install YourFredom on your computer. It have unique interface to choice your plans and trial in this I had a super experience using this I had not any downside it completely secure. It increase online securities it is best VPN for hiding all privacy HMA is the best tool for hide your privacy .Encrypt your internet traffic and prevent hackers and eavesdroppers from intercepting your internet traffic (especially useful when connected to insecure networks such as public WiFi hotspots). No technical experience is required to connect to HMA servers due to easy to provide software; simply enter your username and password and click connect! You can also change you IP address to other foreign locations. Essentially you can give the impression that you virtually reside in any number of destinations. Unlike VPN services that let you create secure Internet tunnels to one country at a time, UnoDNS is a DNS service that allows you to access sites from multiple geographical locations. In my tests, UnoVPN seems to offer faster connections compared with other VPN services that I have used, reaching connection speeds of around 4Mbps. The caveat, of course, is that you are restricted to sites in the US and UK. It is the wonderful VPN it is the one of the great VPN. PureVPN support PPTP and L2TP/IPSec protocols, SSTP and SSL, with 128-bit encryption. Although it’s not mentioned on their “Packages and Prices” page, it appears that they also support OpenVPN on a beta basis, as this is mentioned as part of their tutorials. The other functionality available from the Dialer utility warrants a special mention, as it goes beyond what we’ve seen from other providers. First, there’s a “server selection tool” which helps you choose the best server to connect to based on how you wish to use the service (i.e. media viewing, poker or privacy). It is easier for wireless eavesdroppers to steal unencrypted packets of data from the air, especially if the hotspot is unencrypted. This data can be the websites that you visit, or your login information from non secure/non SSL websites and POP3 or FTP accounts, your IM Messages, and even your emails! Using VPN Tunnel Technology, it encrypts your data making it impossible for data sniffers and hackers to steal! We rout your traffic through our secure servers, giving you a new IP address, that means we take on all the hacking attacks, and theft attempts on our servers while your personal devices are absolutely safe*!